Children are a source of perpetual joy for all those around them, especially their parents. They are effortlessly able to brighten the atmosphere at home, and thus light up your life. At the same time, it is worth mentioning that kids also entail a responsible home environment. While planning for your smart home, you must therefore bear in mind the special needs your kids. While good parenting makes your children good persons, a smart home makes it easy to ensure that they are safe, healthy, and happy. In this day and age, it is difficult to always be around your children, or keep tabs on what is happening in your household.There’s planes to catch and bills to pay, which make it a near impossibility. 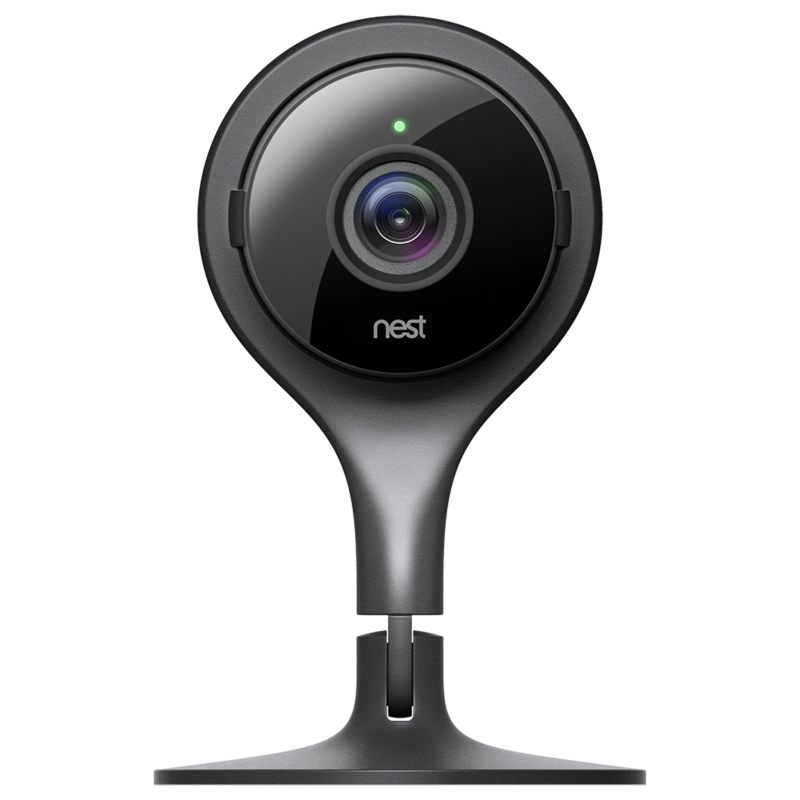 Thankfully, now you can get a helping hand from smart devices such as the Nest Cam, that offers 24/7 live streaming capabilities so you’re never in the dark. A well-rested baby is a happy baby, but how can you be sure that your baby is getting the quality sleep that he/she requires? This is where the MonBaby smart button comes in, to rescue your little one’s nap. In the form of a button, it is easy to put on any outfit. The button sends out readings five times each second, which can be viewed in real time on the MonBaby app. It tracks vital aspects such as breathing, movements, body position, and proximity of the button to the phone. While curiosity is healthy, there are some parts of the house where you may not want your child to wander into, like your toolroom, or anywhere that might contain items hazardous to them. It is easy to forget whether you’ve locked a door or not, but with a smart lock, you can check anywhere, anytime. You can also remotely lock your door in the nick of time if you get suspicious that you might have left it unlocked. The August smart lock should make a handy addition to your arsenal. Children have a tendency to wander around, and they rarely ever think to put the light on so they can see where they’re going. Or they may, at times, be too little to reach the switch! Whatever the reason may be, there sure is a lot of bumping into things. To prevent this, the addition of a simple motion detector can help. It can be programmed to turn on the lights when it detects the motion/presence of your child.The Samsung Smartthings range offers a good set of functional sensors. As mentioned in the above point, motion or presence sensors can be set up to find out where your child is inside the house, but what about elsewhere? How can one keep track of their children’s location outside? The smart solution here is geofencing, which is a location-based virtual perimeter around your house. Through a mobile app, you are notified whenever your child enters. You could have multiple geofences set up to be notified when your child reaches school, or when he/she returns. You can always keep a track of your baby’s health at home, but to go one step further, you can use the Kinsa smart thermometer. This thermometer not only records temperature, but also offers personalised advice on how to soothe symptoms and also when it is best that you rather call the doctor. It also keeps a record of your family’s health and a list of illnesses that are making the rounds so as to make diagnosis easier. In the absence of their parents, most children turn to their toys, and let their imaginations run free. Toymail has come up with a highly versatile alternative that allows you to communicate with your children through their toys. They have a series of smart animals that you can send messages through. The toy alerts your child when there is a new message and your child simply has to squeeze the toy to hear your message. Definitely beats giving your toddler a cell phone! Now that you have the essential device planning in place, you can begin automating your home in a child-friendly way. For any further assistance or queries, do give us a call and we’ll be happy to help!